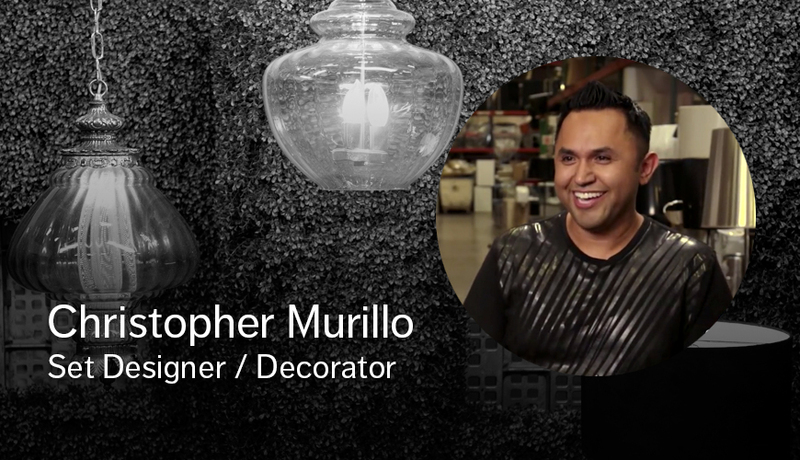 Meet Christopher Murillo, Set Designer/Decorator Christopher Scott Murillo is a southern California based set designer and set decorator. Over the course of his career, he has designed sets, costumes, and props for a wide variety of theatrical productions, live stage shows, and reality television. He holds an MFA from the UCSD Department of Theatre and…. 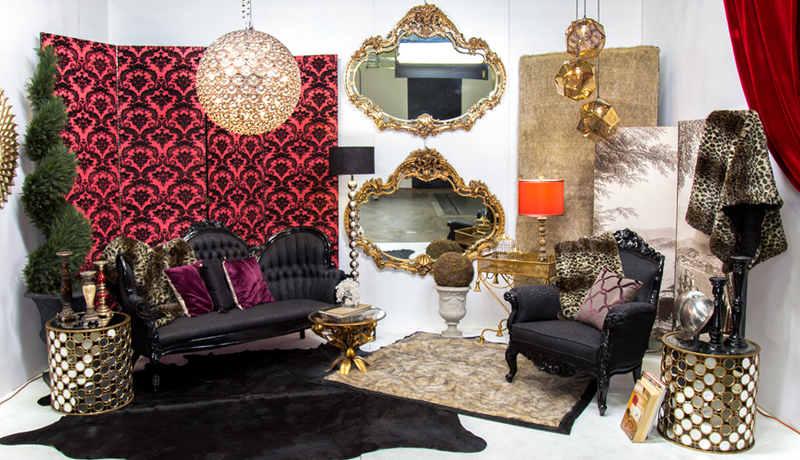 Christopher Scott Murillo is a southern California based set designer and set decorator. Over the course of his career, he has designed sets, costumes, and props for a wide variety of theatrical productions, live stage shows, and reality television. He holds an MFA from the UCSD Department of Theatre and Dance and a BA from the UCLA School of Theater, Film, and Television. He is currently part of the design faculty at Cal State Los Angeles. Most recently, he has been the set decorator for The Real Housewives of Orange County and Beverly Hills reunions and his theatrical work has been seen at the Hollywood Bowl and the Getty Villa in Malibu. 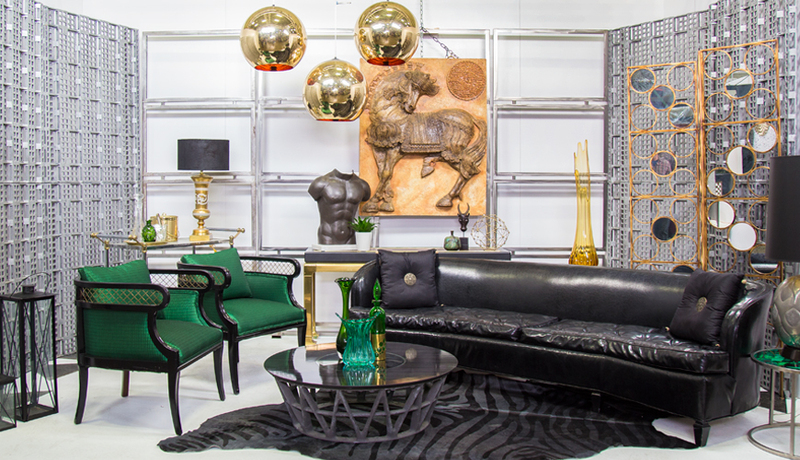 Christopher is drawn towards a “modern glamor” aesthetic, combining eclectic and industrial styles with modern bold colors. 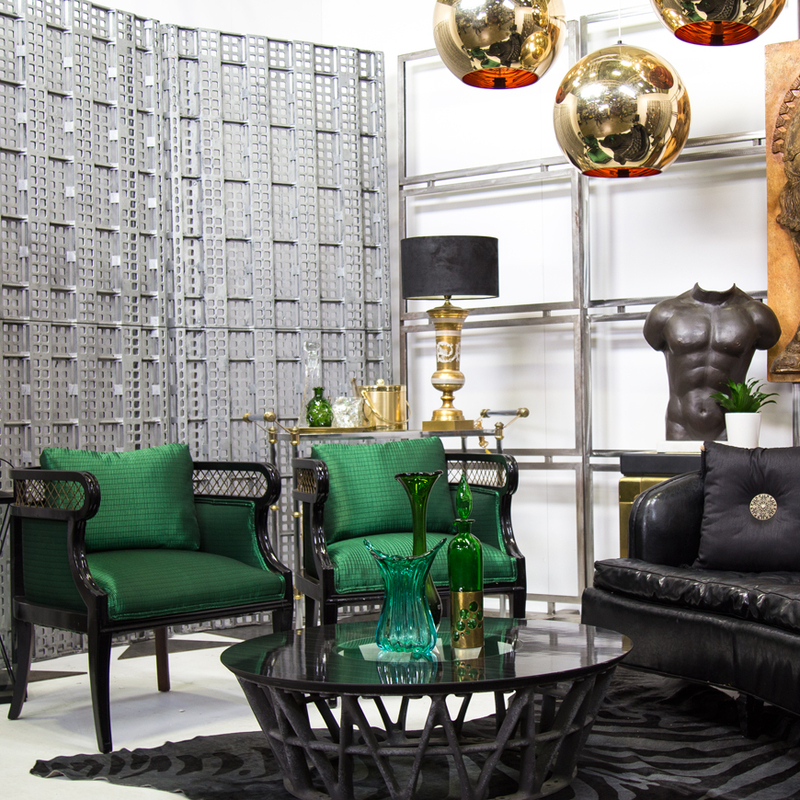 The Design Dare team challenged Christopher Murillo VS Ruben Gomez to compete scenically at the FormDecor warehouse. 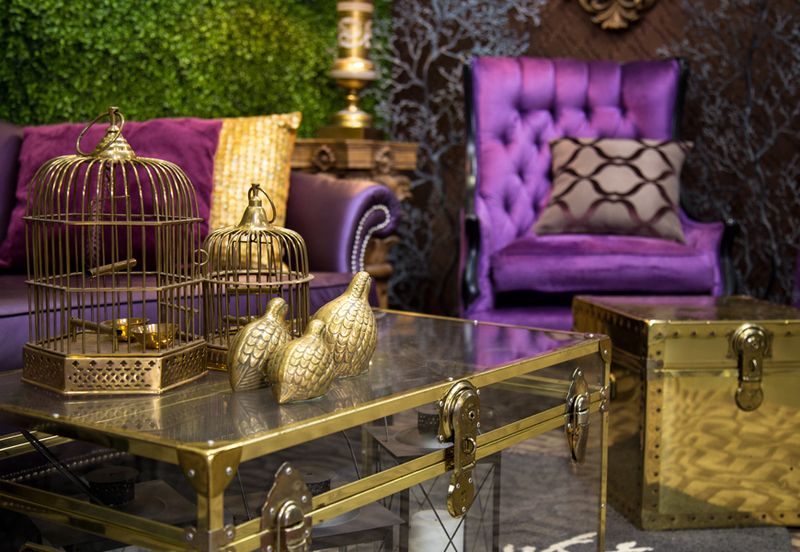 Each designer had a 10′ x 15′ space, 1 hour, 2 FormDecor team members and the entire FormDecor inventory to choose from! 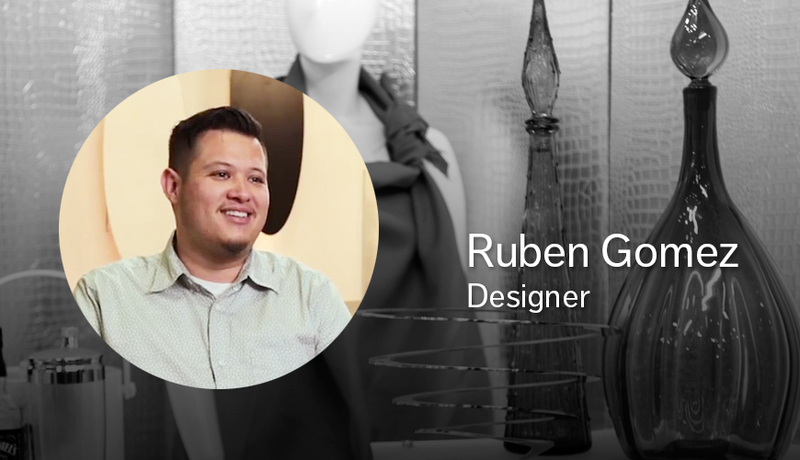 Meet Ruben Gomez, Designer Los Angeles native Ruben Gomez brings passion, and a keen eye for design. Inspired and educated from FIDM and The Interior Design Institute as well as experience working within various creative arts industries has established him as a diverse designer and account executive. Ruben is know for his work in production…. 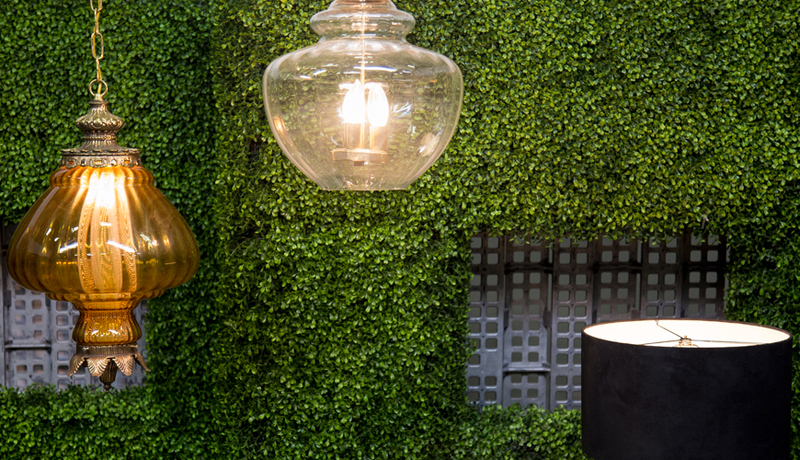 Los Angeles native Ruben Gomez brings passion, and a keen eye for design. Inspired and educated from FIDM and The Interior Design Institute as well as experience working within various creative arts industries has established him as a diverse designer and account executive. Ruben is know for his work in production and event design which include XBOX E3 Sales Conference, Reebok CrossFit Games, ABC Oscar Party and Shirley Temple Estate Restoration. 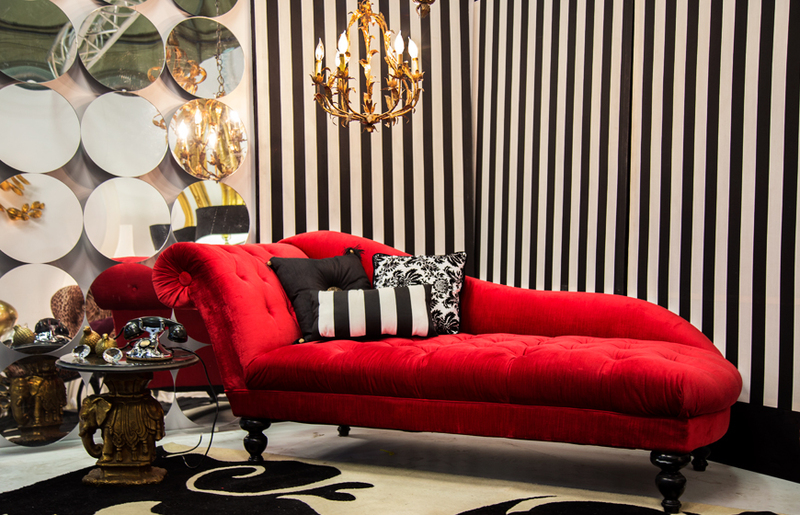 Ruben has a clean and minimalistic design style with pops of color or mid century modern. 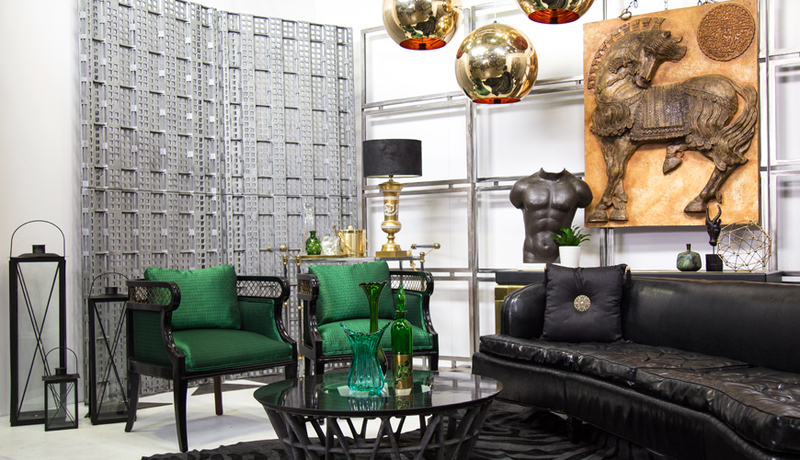 The Design Dare team challenged Ruben Gomez VS Christopher Murillo to compete scenically at the FormDecor warehouse. 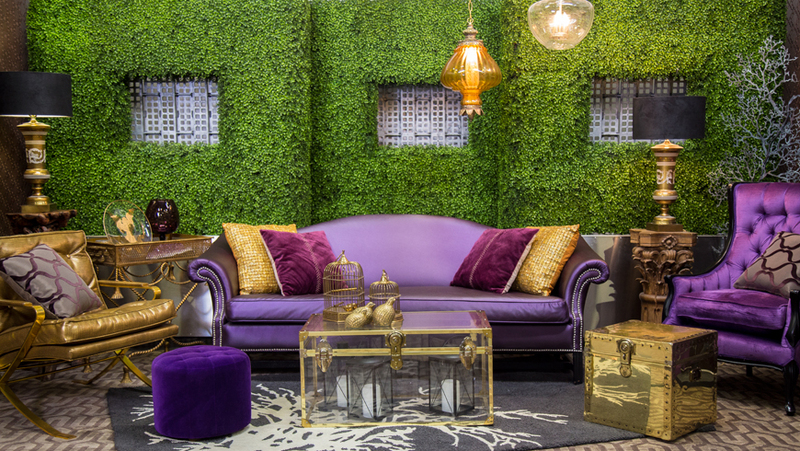 Each designer had a 10′ x 15′ space, 1 hour, 2 FormDecor team members and the entire FormDecor inventory to choose from! Meet Karen Weber, Production Designer Karen has worked as an Art Director for well over 15 years, drawing on her background in theatre, fine arts, design and photography. Her current work is primarily in television and commercials. She has a keen eye and an ability to move effortlessly from design software to crafting one of…. Karen has worked as an Art Director for well over 15 years, drawing on her background in theatre, fine arts, design and photography. Her current work is primarily in television and commercials. She has a keen eye and an ability to move effortlessly from design software to crafting one of a kind objects, focused on supporting the project at hand. Karen Weber is known for her work on Last Comic Standing, The Queen Latifah Show, America’s Next Top Model, Yahoo Santa Monica Studio Design and a variety of talk shows, reality shows and game shows. 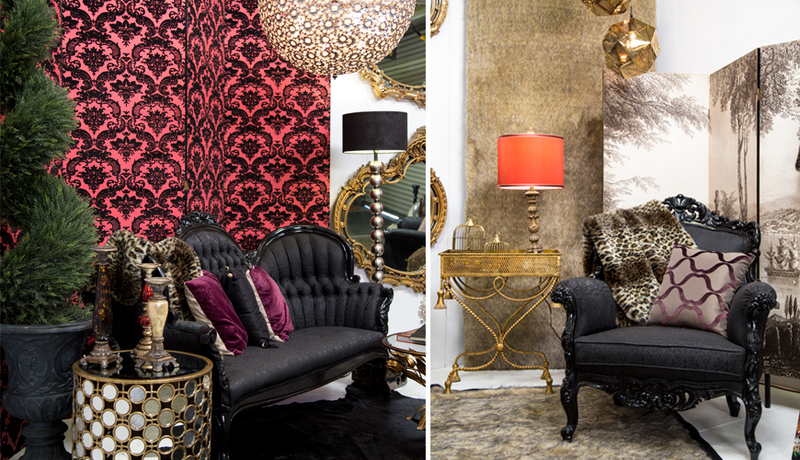 With an eclectic style, Karen likes to play with textures, colors and loves textiles. 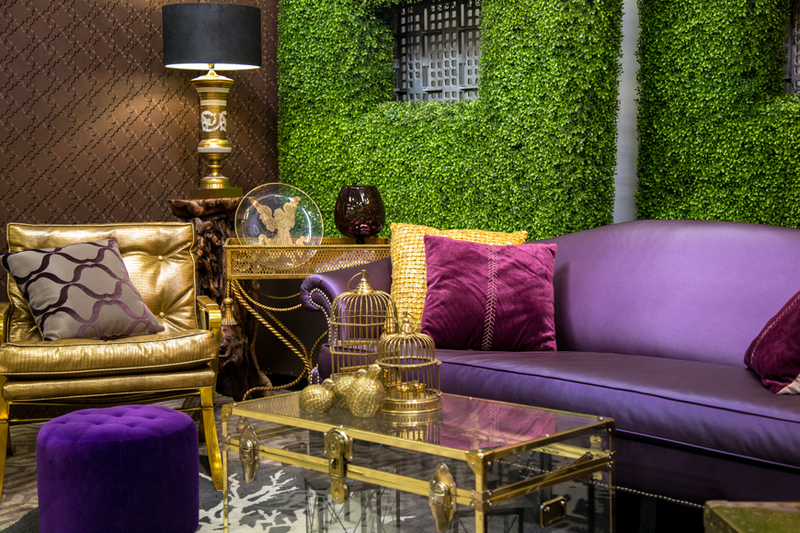 The Design Dare team challenged Karen Weber VS Meredith Greenberg to compete scenically at the FormDecor warehouse. 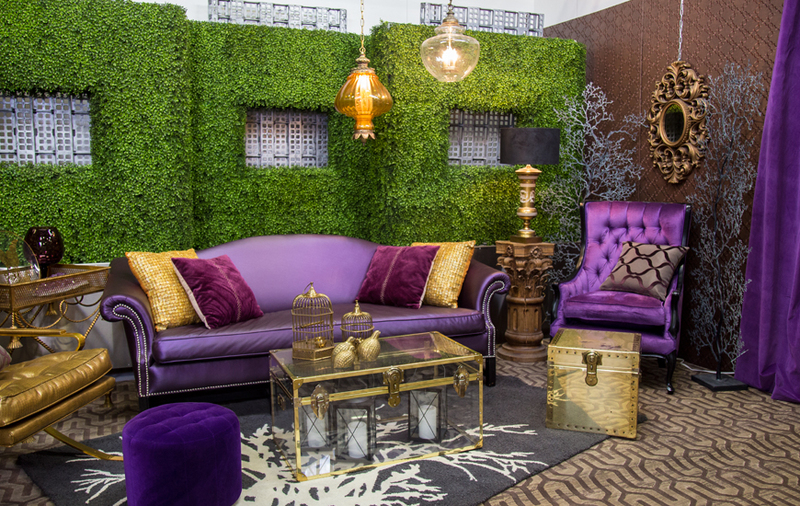 Each designer had a 10′ x 15′ space, 1 hour, 2 FormDecor team members and the entire FormDecor inventory to choose from! 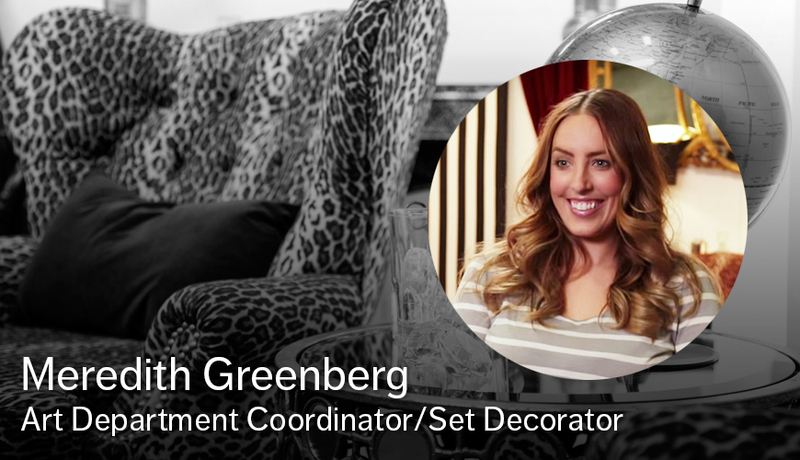 Meet Meredith Greenberg, Art Department Coordinator/Set Decorator An Art Department Coordinator/Set Decorator for the film/tv industry by day and inspired interior designer & DIY blogger the rest of the time! Meredith is known for her work on American Horror Story: Hotel, Big Brother and The Ellen DeGeneres Show but most of all her blog (artsandclassy.com)…. An Art Department Coordinator/Set Decorator for the film/tv industry by day and inspired interior designer & DIY blogger the rest of the time! 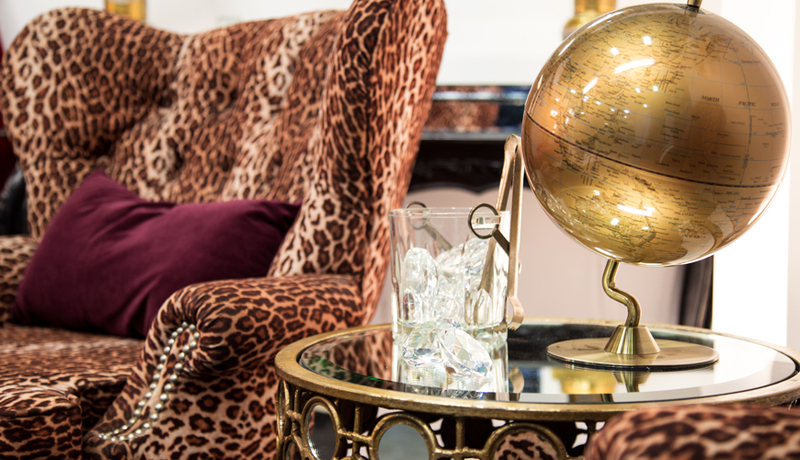 With an eclectic style, Meredith likes to mix in the old and new. 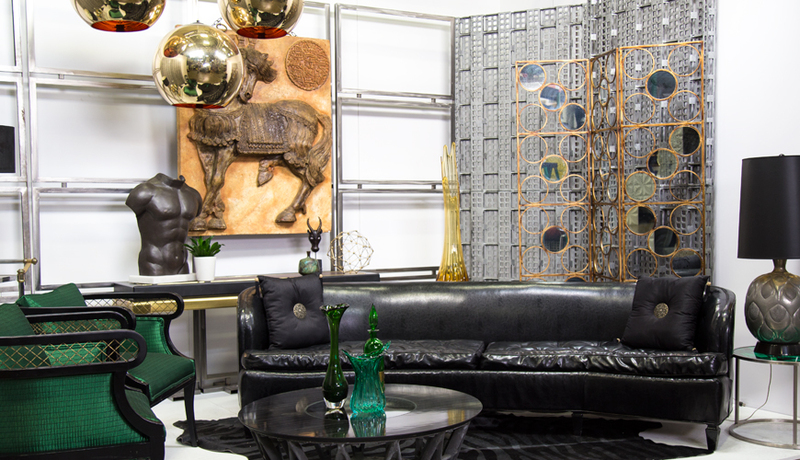 The Design Dare team challenged Meredith Greenberg VS Karen Weber to compete scenically at the FormDecor warehouse. 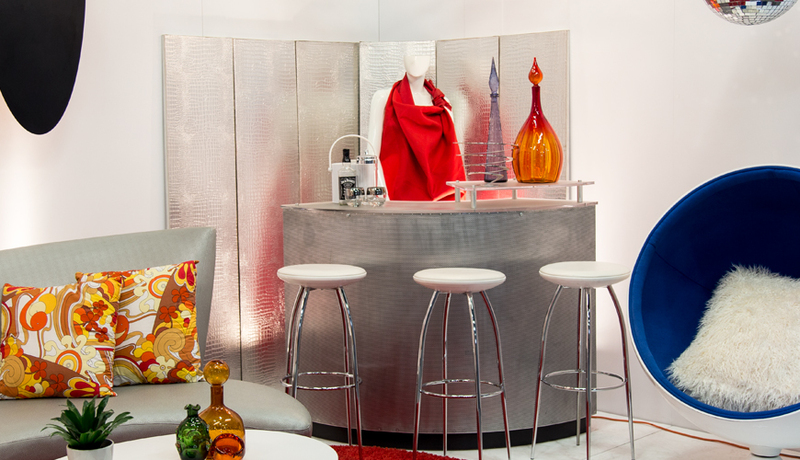 Each designer had a 10′ x 15′ space, 1 hour, 2 FormDecor team members and the entire FormDecor inventory to choose from! 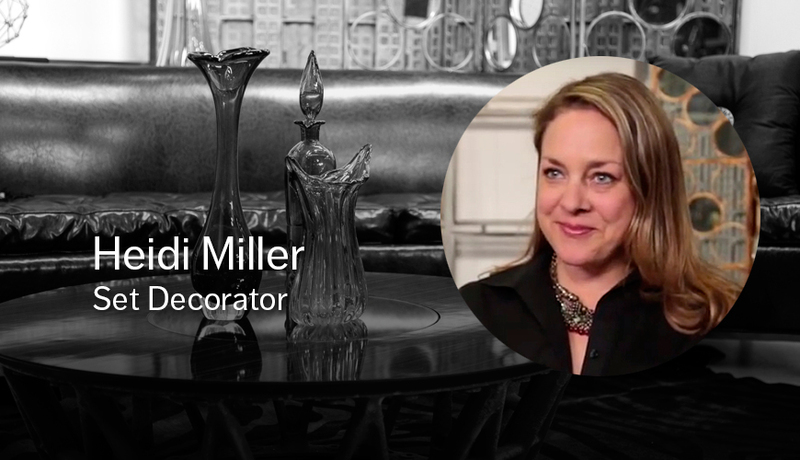 Meet Heidi Miller, Set Decorator Heidi Miller is best known for her work on Hell’s Kitchen, MasterChef, The Man Show and Jimmy Kimmel Live! With over 20 years in the industry, Heidi is a 2-time Primetime Emmy nominee and winner for “Best Art Director for Multi Camera Series”. 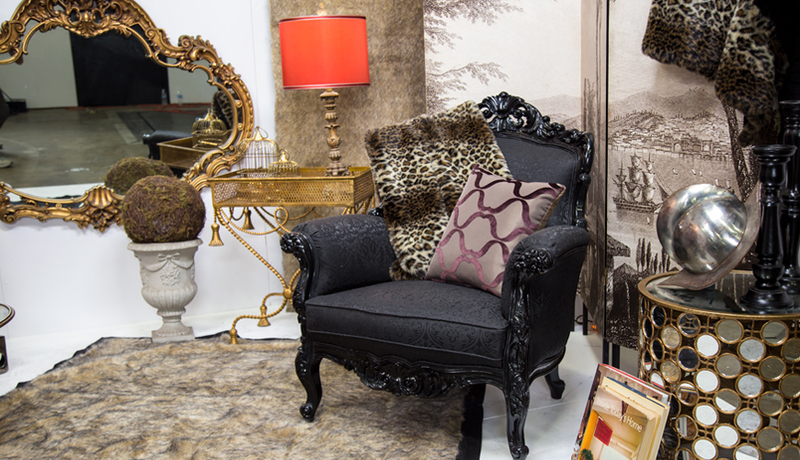 Heidi loves “rustic glamour”, Kelly Wearstler and…. Heidi Miller is best known for her work on Hell’s Kitchen, MasterChef, The Man Show and Jimmy Kimmel Live! With over 20 years in the industry, Heidi is a 2-time Primetime Emmy nominee and winner for “Best Art Director for Multi Camera Series”. 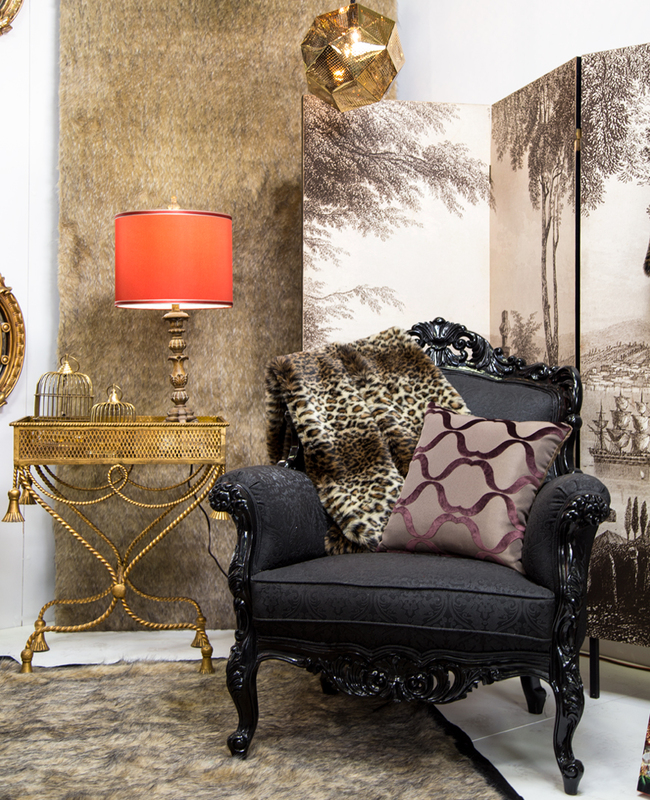 Heidi loves “rustic glamour”, Kelly Wearstler and 1940s glam design. 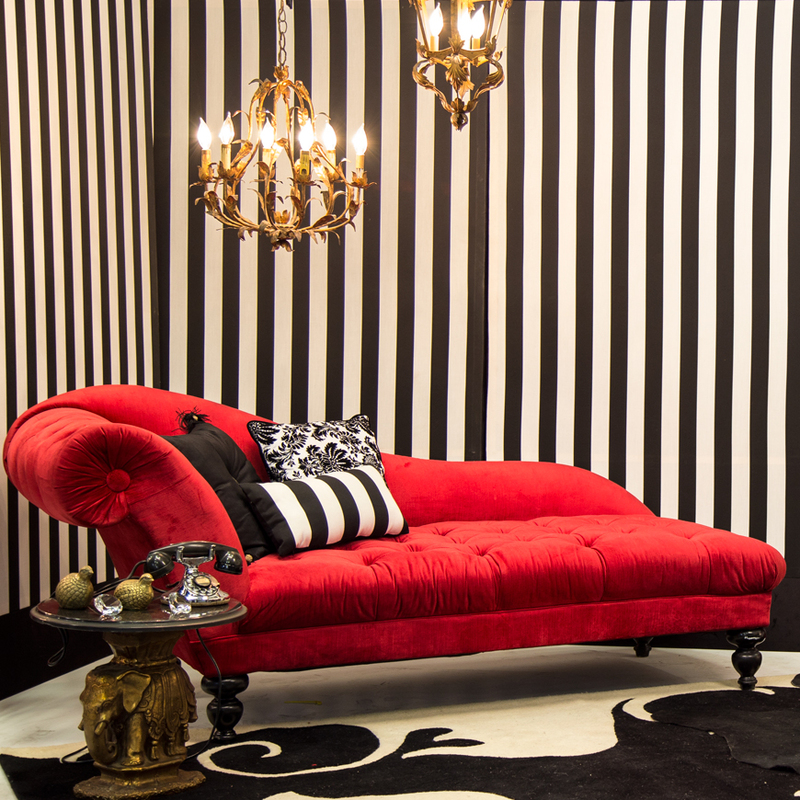 The Design Dare team challenged Heidi Miller & M. Schmidt to compete scenically at the FormDecor warehouse. 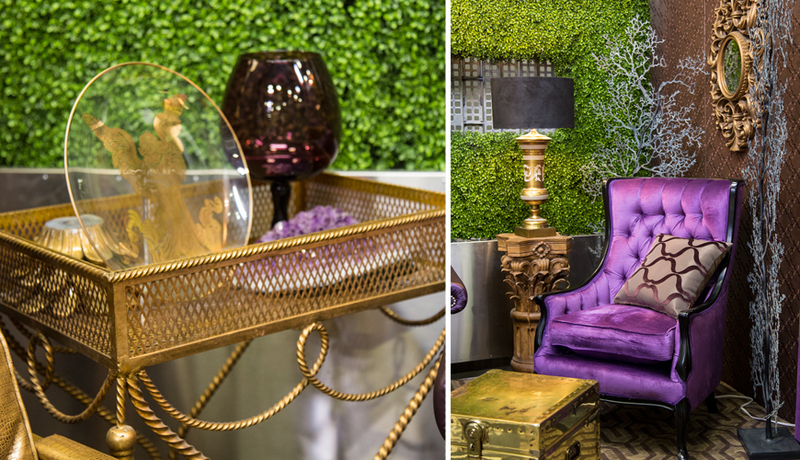 Each designer had a 10′ x 15′ space, 1 hour, 2 FormDecor team members and the entire FormDecor inventory to choose from! 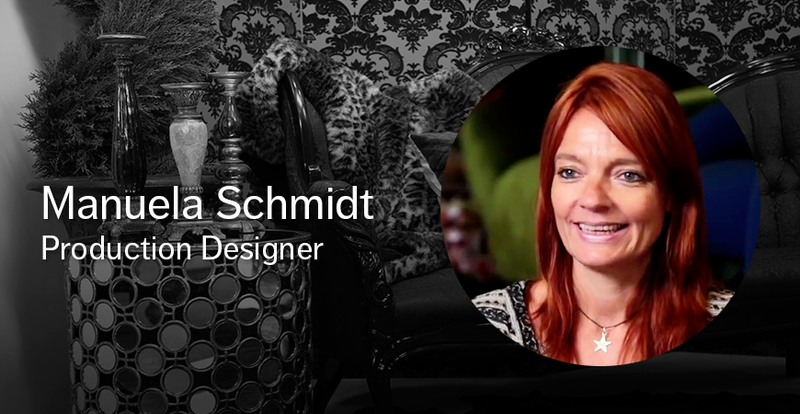 Meet M. Schmidt, Production Designer A graduate of the Hamburg College of Architecture, M. Schmidt’s career as a production designer for film, commercial and television was preceded by her work as a stage designer at various theaters in Hamburg/Germany. She formed her own set design and construction company EXPOSITION STUDIO in Los Angeles in 2003…..
A graduate of the Hamburg College of Architecture, M. Schmidt’s career as a production designer for film, commercial and television was preceded by her work as a stage designer at various theaters in Hamburg/Germany. She formed her own set design and construction company EXPOSITION STUDIO in Los Angeles in 2003. M. Schmidt has worked as production designer on feature films, TV shows, commercials and music videos as well as events and sets for stage productions in Europe and the United States. M. Schmidt is known for her work on Thy Neighbor’s Wife, Rachael vs Guy, Beauty and the Geek, Scream Queens and a variety of Food Network shows. M. Schmidt’s favorite design periods range from 50’s style to Mid-Century Modern, but when it comes to work projects, she likes to put just about anything on the set. 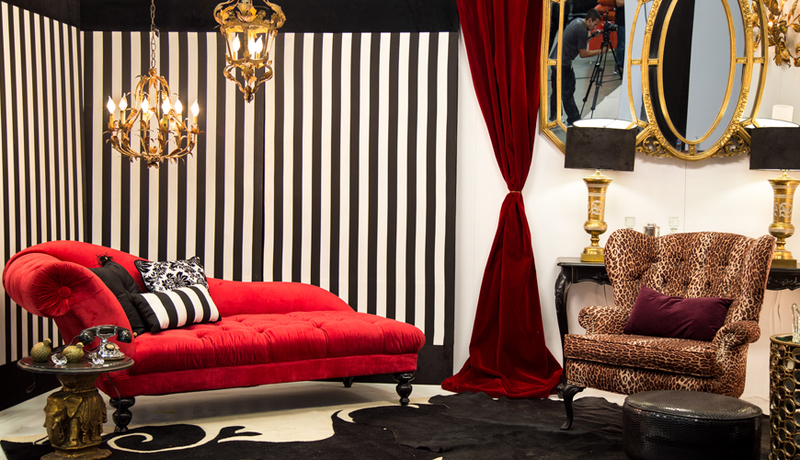 The Design Dare team challenged M. Schmidt & Heidi Miller to compete scenically at the FormDecor warehouse. 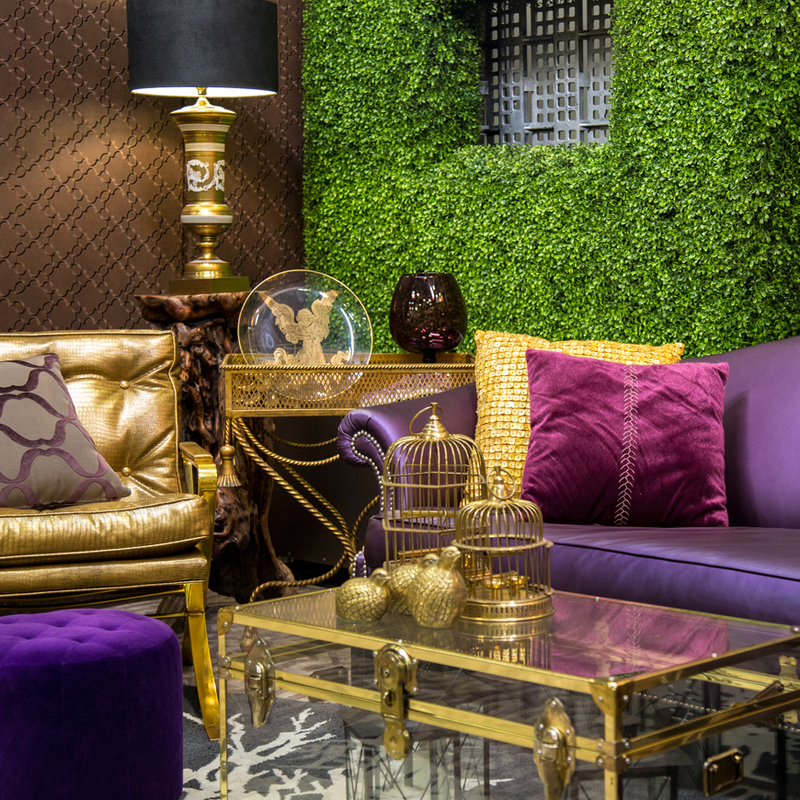 Each designer had a 10′ x 15′ space, 1 hour, 2 FormDecor team members and the entire FormDecor inventory to choose from! Arne Jacobsen, born in Copenhagen in 1902, endures as a true visionary of modern architecture and design and a prominent leader of Danish Modern design. Schooled as a mason at the Technical School in Copenhagen, Jacobsen later expanded his construction knowledge, becoming an architect at the Royal Danish Academy of Arts. 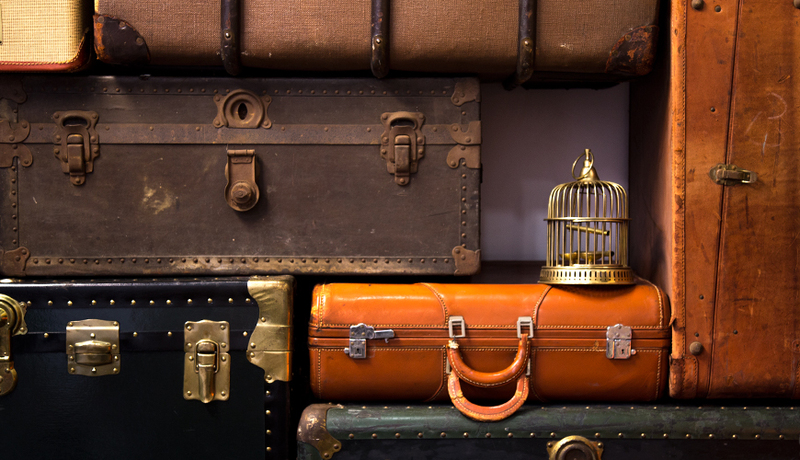 Fleeing Denmark in 1943…. Arne Jacobsen, born in Copenhagen in 1902, endures as a true visionary of modern architecture and design and a prominent leader of Danish Modern design. Schooled as a mason at the Technical School in Copenhagen, Jacobsen later expanded his construction knowledge, becoming an architect at the Royal Danish Academy of Arts. Fleeing Denmark in 1943 to escape the German occupation, Jacobsen worked in Sweden before returning to his homeland in 1949. Perhaps it was his “hands-on” experience as a mason that caused Arne Jacobsen to develop the attention to detail at every level of new construction for which he is known. As an example, his winning design for the House of the Future contest in 1929 exhibited extraordinary detail as he and collaborator Flemming Lassen designed not only the outside structure, but also all of the interiors, including furniture, textiles and color palettes. Jacobsen rose to international fame after the debut of his famous “Ant” chair, an evolution of a chair he created for the Munkegard School near Copenhagen. The “Ant” chair, a 3-legged stackable chair with a seat and back of contiguous molded plywood, subsequently evolved into the successful four-legged “Series 7” chair introduced in 1955. 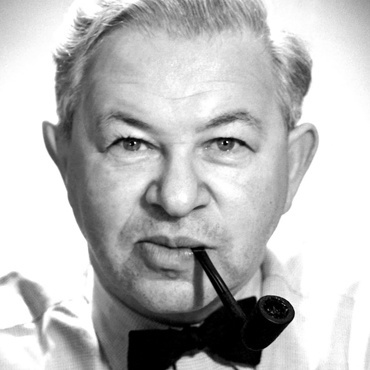 For other architectural projects, Arne Jacobsen was known to have created not only furniture but also minute design details such as flatware, lights, sinks, taps, door handles, and even locks and keys, earning him the reputation of a meticulous perfectionist. One such project, the Radission SAS Hotel in Copenhagen, yielded several well-known classic designs, including the ever-popular “Swan” chair, a single upholstered sculptural design beautifully representing his own take on organic modernism. As well, yet another example of Jacobsen’s forward-thinking, the flatware he designed for the SAS was selected for use in the movie classic “2001: A Space Odyssey” because of its futuristic design. 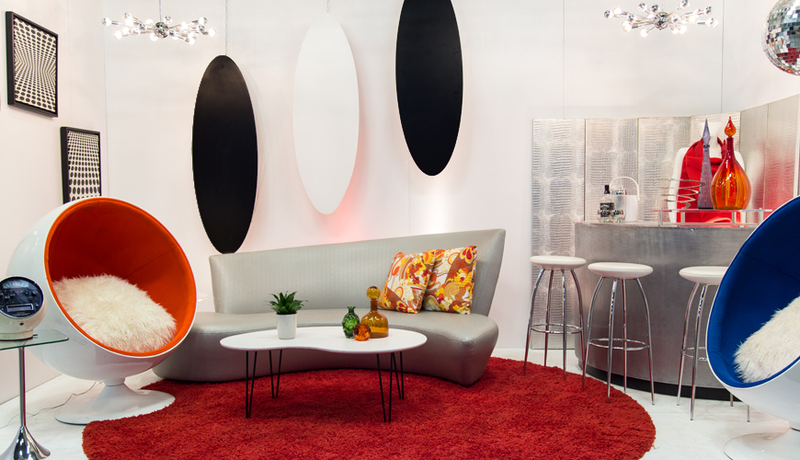 FormDecor’s special selections of Arne Jacobsen furniture rentals are available HERE. 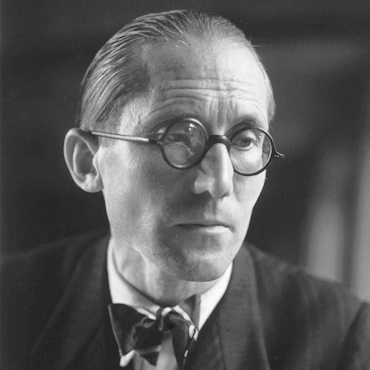 Born Charles Edouard Jeanneret in Switzerland, Le Corbusier is the pseudonym he gave himself while writing in Paris in 1920, an expression of his belief that any man could reinvent himself. Though Le Corbusier was very successful in his first career as a watch engraver, he felt compelled to follow his interest in architecture, leaving…. Born Charles Edouard Jeanneret in Switzerland, Le Corbusier is the pseudonym he gave himself while writing in Paris in 1920, an expression of his belief that any man could reinvent himself. Though Le Corbusier was very successful in his first career as a watch engraver, he felt compelled to follow his interest in architecture, leaving Switzerland in 1907 to study in Italy and Paris. From there, Le Corbusier developed his varied interests in art, architecture and design theory, becoming a major influence on the Parisian art scene in the 1920’s. Through his work as a designer and writer, Le Corbusier was a significant player in the shaping of the International Style of the early 1900’s, and his idealistic theories of urban planning had a major impact on city planners worldwide. In furniture and architectural design, the minimalist modernism that he espoused was a manifestation of his belief that the home is ideally a “machine for living”. An outspoken advocate of the use of industrial techniques and strategies as a means to transform society for the better, Le Corbusier frequently incorporated these ideas into his designs, furthering his notion of the home as a “machine”. His furniture line “Equipment for Living”, a series of tubular steel furniture designed with architect Charlotte Perriand and his cousin Pierre Jeanneret, remains as some of the most iconic representations of the International Style. The “Grand Confort” and “Petit Confort” furniture for which Le Corbusier is so well recognized also emerged from this collaboration with Perriand and Jeanneret. Not as lean as his early furniture designs, the “Grand Confort” and “Petit Confort” furniture is plushly upholstered, a comfortable contrast to his earlier work and a wonderful example of modernism. 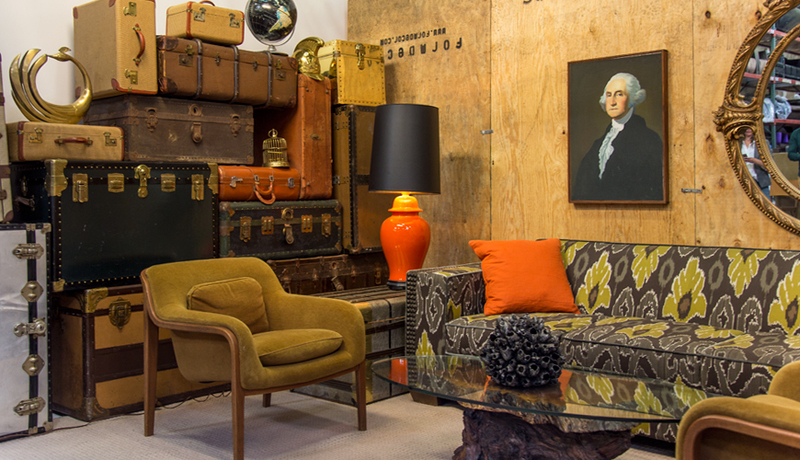 FormDecor’s special selection of Le Corbusier furnishings are available to rent HERE. Born to architect Eliel Saarinen and his artist wife Loja, Eero moved to the United States from Finland when he was just 13 years old. 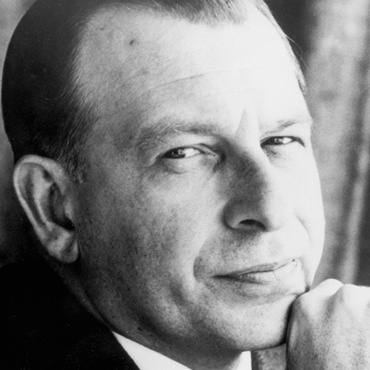 With such creative influences at home, it was only natural that Eero Saarinen would develop a design talent that would have a major influence on the American post-war design movement…..
Born to architect Eliel Saarinen and his artist wife Loja, Eero moved to the United States from Finland when he was just 13 years old. 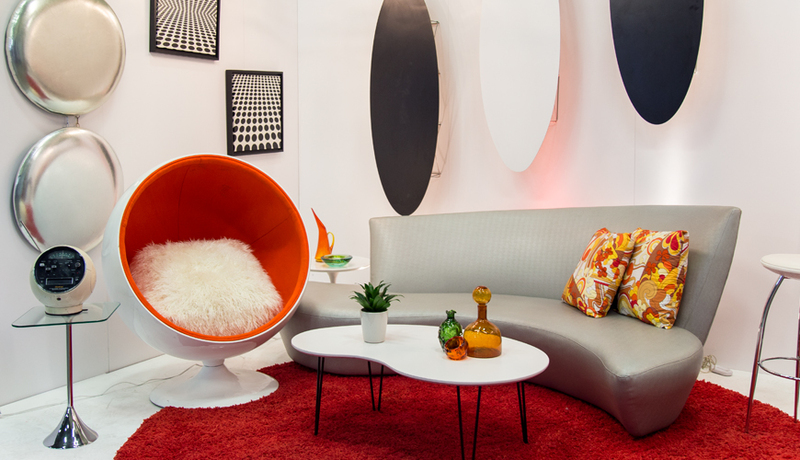 With such creative influences at home, it was only natural that Eero Saarinen would develop a design talent that would have a major influence on the American post-war design movement. His exposure to the work of his parents and his architectural studies in Paris and at Yale combined to prepare him for a successful career marked by original design and experimentation. While teaching at the Cranbrook Academy of Art in the late 1930’s, Saarinen fortuitously met emerging designer Charles Eames. Their collaboration, a range of furniture based on their experiments with molded plywood, won them 1st prize in an exhibition at the MoMA in New York in 1940. This work, created for the “Organic Design in Home Furnishings” exhibition, effectively launched both men as noted furniture designers and foreshadowed the direction that both men would take in their individual designs. Another highlight of his career, Saarinen’s organic simplicity helped him win the competition to design the Jefferson National Expansion Memorial in St. Louis in 1947. His simple arch design, the popular “Gateway to the West”, is one of America ’s architectural treasures. Eero Saarinen fostered a “new modernism” in post-war America with his use of sensuous curves while still adhering to the clean lines and timeless functionality of modernist theory. 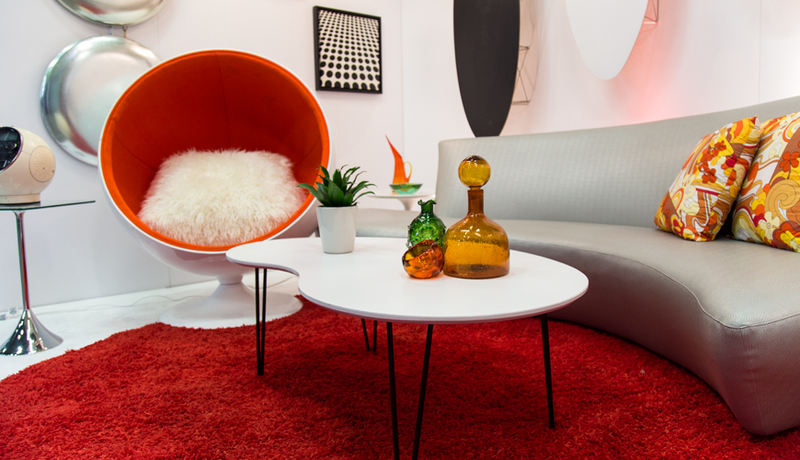 Saarinen’s Tulip Chair and Tulip Side Table are excellent representations of his vision. Despising the look of common chair legs and table legs, Saarinen created the pedestal bases he is most well known for. And though his Tulip designs were made of two materials, fiberglass and aluminum, he purposefully painted the entire design white to preserve the illusion that the entire sculptural form was made from the same material. 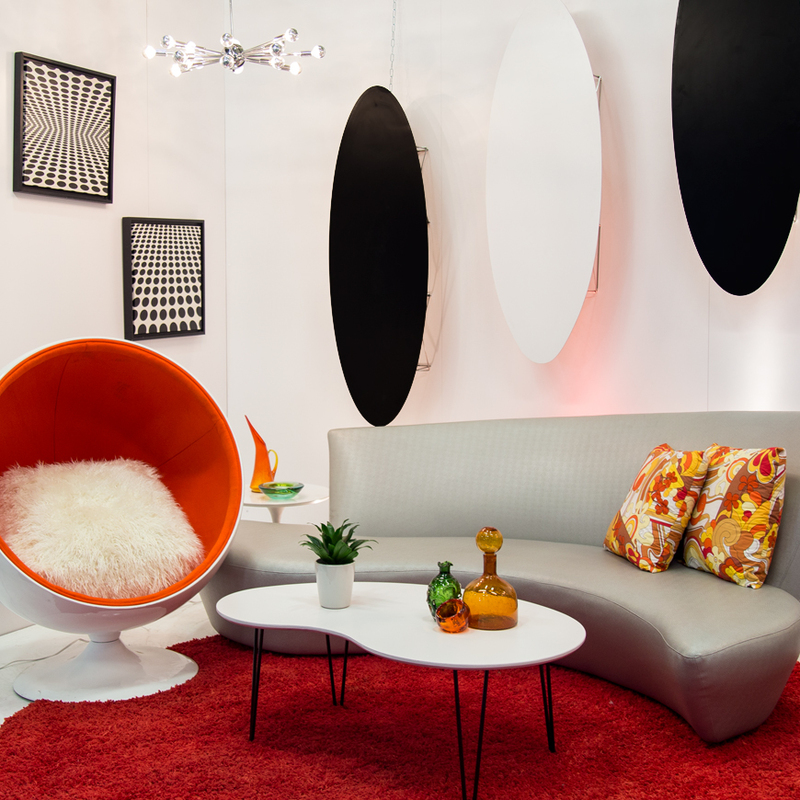 FormDecor’s special selections of Saarinen’s iconic furniture designs are available to rent HERE. 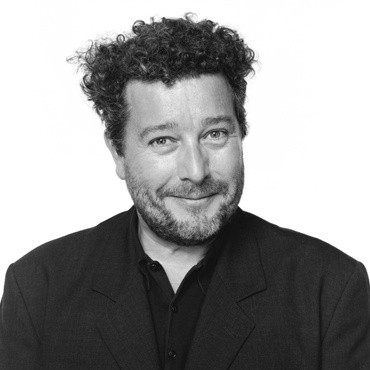 Philippe Starck is one of the most prolific and recognized designers of our time. Born in Paris in 1949, Starck has utilized his natural abilities in design and marketing to build an impressive portfolio of design projects and licensing ventures. Though he never finished school, Philippe Starck obviously learned quickly from his early experience designing…. Philippe Starck is one of the most prolific and recognized designers of our time. Born in Paris in 1949, Starck has utilized his natural abilities in design and marketing to build an impressive portfolio of design projects and licensing ventures. Though he never finished school, Philippe Starck obviously learned quickly from his early experience designing nightclub interiors in Paris in the 1970’s. His emerging notoriety led to a job designing one of the apartments of the Elysee Palace in 1982 for President Francois Mitterand. Thereafter, Starck’s career went into overdrive as he quickly designed stylish interiors for 4 popular boutique hotels: the Mondrian (LA), the Delano (Miami), and the Paramount and Royalton Hotels (NY). Though each project has its own charm, they’re all imbued with Starck’s characteristic style, a mix of whimsical elegance and engaging materials and forms. Translating this avant-garde style to furniture and housewares, Starck has already achieved icon status with many of his designs, such as the stylized “Juicy Salif” for Alessi and the “Louis Ghost” chair for Kartel. Philippe Starck is particularly known for his unusual combinations that seem to contradict their function. The “Louis Ghost” chair and “La Marie” chair are superb examples of his design concept, both of them elegant seating unexpectedly constructed of crystal-clear polycarbonate. 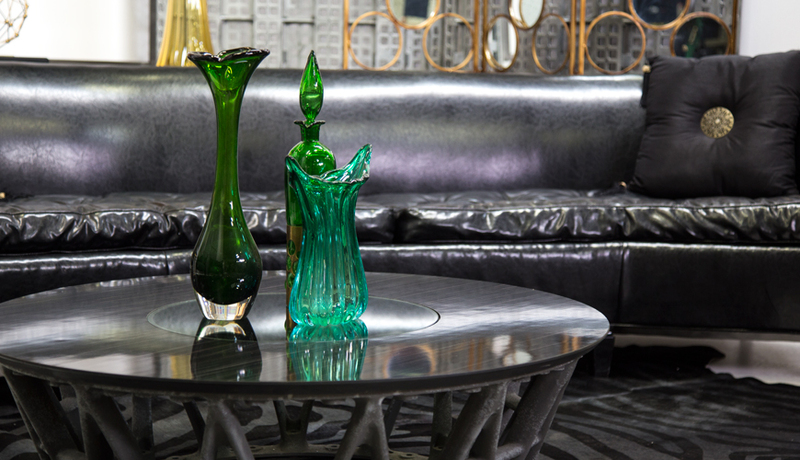 Despite his fame, Starck’s designs are purposely accessible to the average consumer. Concentrating on designing for the mass-produced market, Philippe Starck has ensured his lasting relevance by creating a variety of unique, stylish products for everyday life. Not stopping at furniture and housewares, Starck continues to expand his design reach to include motorbikes, boats, packaging for a beer company, a mouse for Microsoft, and even a “spaceport” for the new Virgin Galactic! Undoubtedly, we will be living with (and enjoying) Philippe Starck’s designs for decades to come. 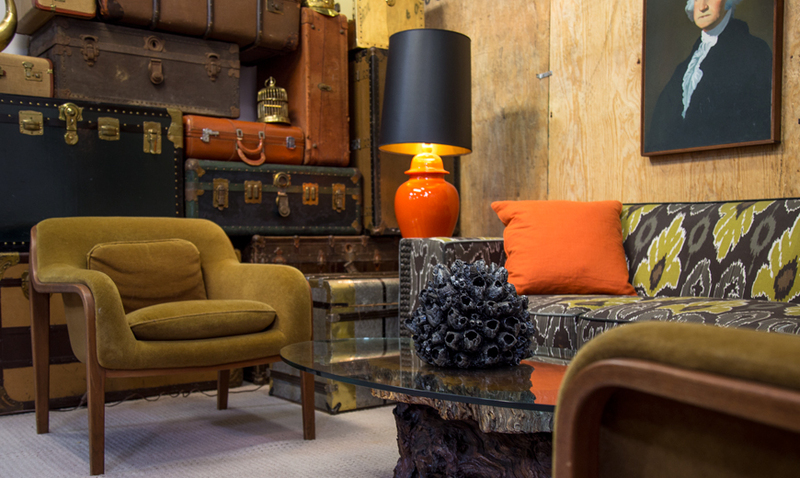 FormDecor’s special selection of Philippe Starck designs is available to rent HERE. George Nelson was an American industrial designer, and one of the founders of American Modernism. As Director of Design for Herman and owner of his own design studio, George Nelson Associates, Inc., Nelson was responsible for many of the 20th century’s most iconic modernist furniture designs. George Nelson attended Yale University, and happened upon the…. George Nelson was an American industrial designer, and one of the founders of American Modernism. 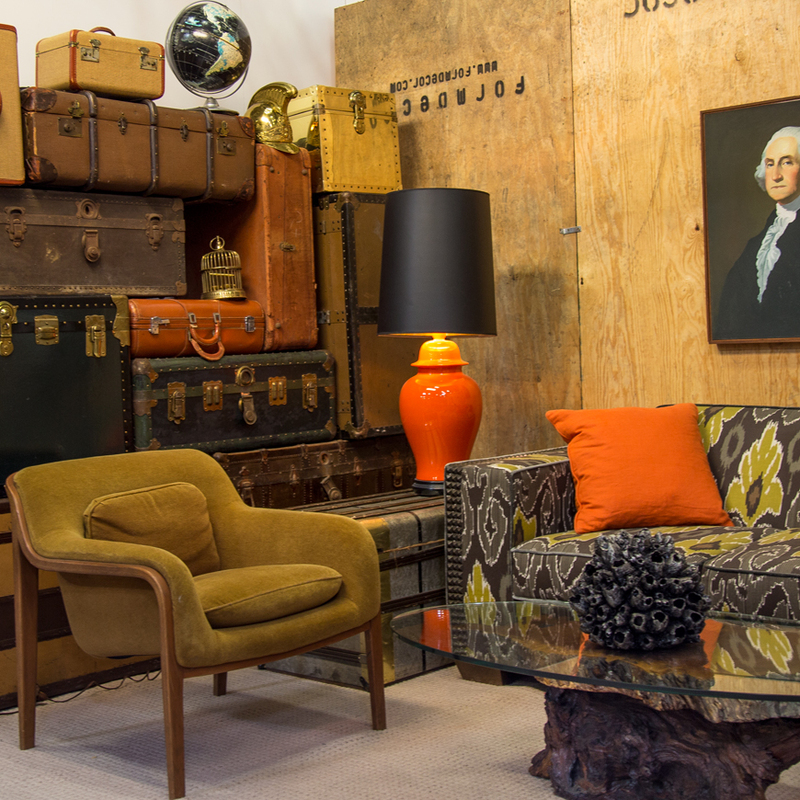 As Director of Design for Herman and owner of his own design studio, George Nelson Associates, Inc., Nelson was responsible for many of the 20th century’s most iconic modernist furniture designs. George Nelson attended Yale University, and happened upon the architecture school because of a rainstorm, ducking into the building in order to stay dry. Walking though the building, he came upon an exhibit of students’ work entitled “A Cemetery Gateway”. Prior to this, he had no interest in becoming an architect! He graduated from Yale in 1928 with a degree in architecture, after gaining recognition during his undergraduate years working as a drafter at Adams and Prentice and in publications such as “Pencil Points” and “Architecture” magazine. In 1931, after receiving a second bachelor’s degree in Fine Arts from Yale, Nelson was awarded the Rome Prize, which was a year studying architecture with a heavy stipend and accommodations in a palace in Rome. Nelson traveled through Europe, where he met a number of modernist pioneers, including Mies van der Rohe, Le Corbusier and Gio Ponti. George Nelson went on to contribute as an editorial staff member of Architectural Forum magazine in 1935 where he continually defended the modernist principles. During this time Nelson spent a great deal of time interviewing and exchanging ideas with the other founders of the modernist architecture movement of the forties, including the Eames, all of whom he would later collaborate with. By 1940 George Nelson had authored a book with Henry Wright, “Tomorrow’s House”, in which he introduced modern concepts such as “the family room”, and “storage wall.” After reading the book, Herman Miller Chairman D.J. Dupree selected Nelson to be the company’s director of design. Despite having no experience in furniture design, Depree hired Nelson based on his insight into creating furniture that was innovative and useful. Over the years, Nelson’s work with Herman Miller would include some of the most iconic furnishings of the 20th century including the Eames, Harry Bertoia, and Isamu Noguchi in it’s catalogue. 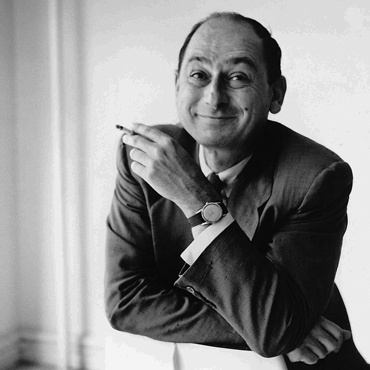 Using the money he earned at Herman Miller, Nelson opened George Nelson Associates, Inc. in New York City, where he once again brought together some of the top designers of the era, and by the time the company closed in the mid-1980s, it had worked with most of the Fortune 500 companies of that time. 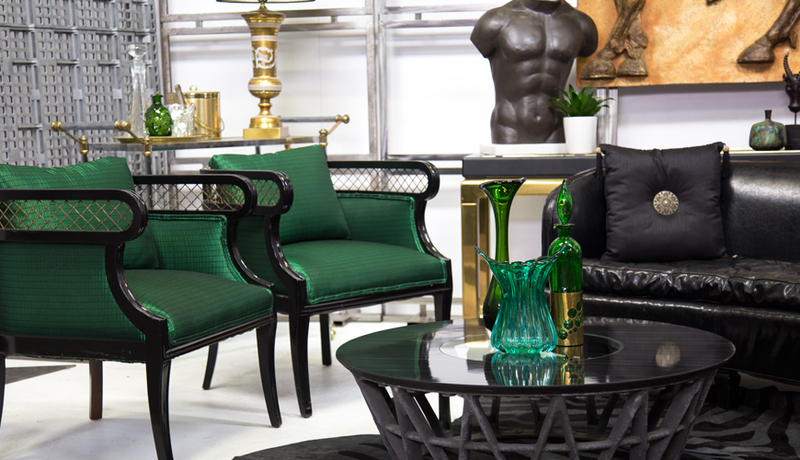 FormDecor’s special selections of George Nelson furnishings are available to rent HERE [LINK]. Though he was born in Los Angeles, Isamu Noguchi had the rare benefit of living and traveling all around the world, experience which undoubtedly influenced how he matured as an artist, designer and landscape architect. Drawing on his childhood experiences living in India, Paris and Japan, as well as studies in England and China, Noguchi…. Though he was born in Los Angeles, Isamu Noguchi had the rare benefit of living and traveling all around the world, experience which undoubtedly influenced how he matured as an artist, designer and landscape architect. 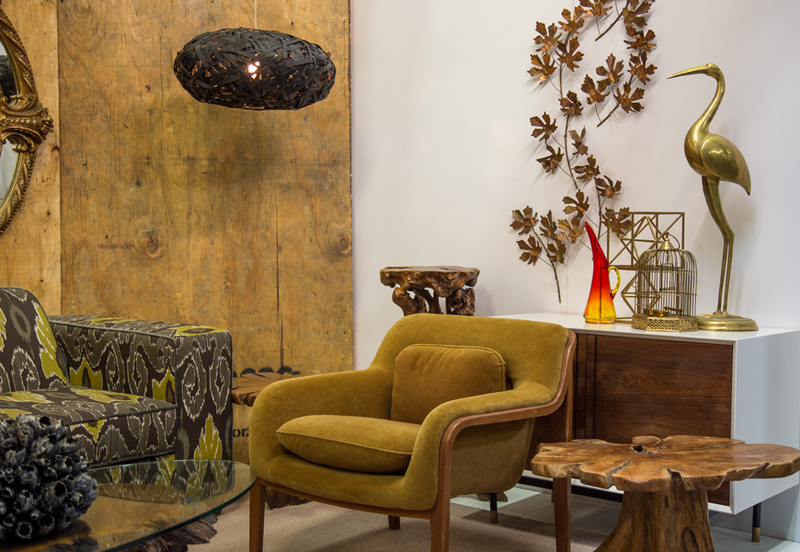 Drawing on his childhood experiences living in India, Paris and Japan, as well as studies in England and China, Noguchi developed a unique and innovative style, incorporating both rural craft traditions and technological design elements. Noguchi’s constant investigation into the nature and use of form and space yielded a number of groundbreaking public art and urban planning designs. Since he had been trained as a cabinetmaker in Japan, it was only natural that Noguchi would eventually turn his creative attention to designing furniture. Designing for Knoll and Herman Miller in the 1940’s, he developed a reputation for unique, organic-shaped furnishings that echoed the biomorphic elements of his sculpture work. 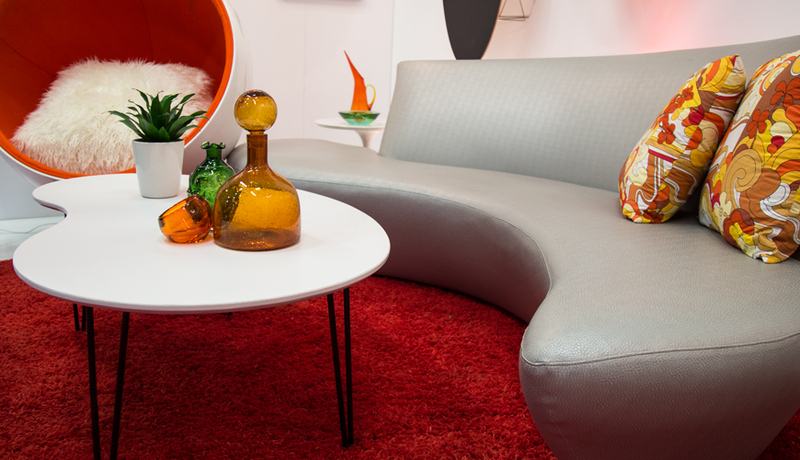 The very popular Noguchi Coffee Table, designed for Herman Miller in 1945, is a result of this phase of Noguchi’s dynamic career, and it is an excellent example of organic and technological influences on his style. 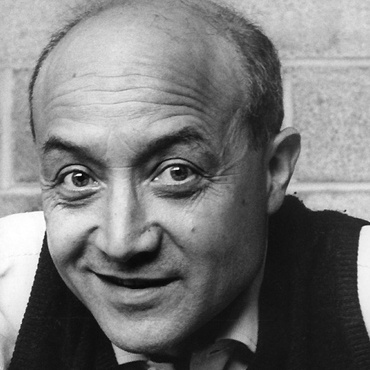 Fortunately for his admirers, the Isamu Noguchi Garden Museum was established in the 1980’s in Long Island City, NY, to permanently display a variety of this prolific artist’s work. 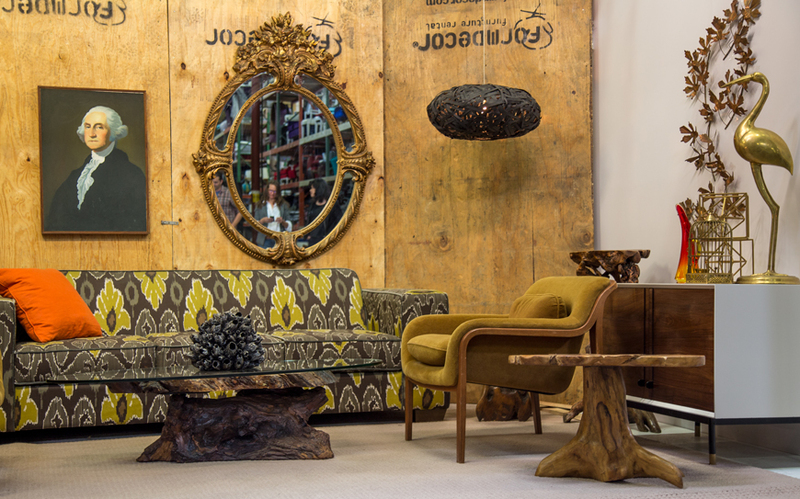 FormDecor’s special selection of authentic Noguchi furniture is available to rent HERE. Charles Ormond Eames, Jr. and Bernice Alexandra “Ray” Eames were American designers who made major contributions to modern architecture and furniture, as well as graphic design, fine art and film. Charles Eames briefly studied architecture at Washington University in St. Louis on a scholarship, but left after two years – rumor reports the university dropped…. Charles Ormond Eames, Jr. and Bernice Alexandra “Ray” Eames were American designers who made major contributions to modern architecture and furniture, as well as graphic design, fine art and film. 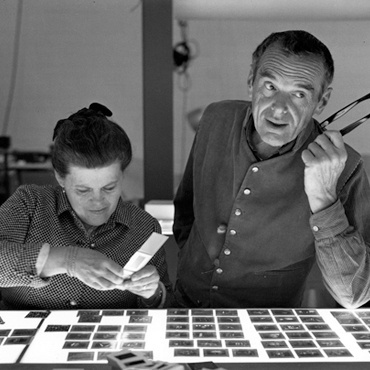 Charles Eames briefly studied architecture at Washington University in St. Louis on a scholarship, but left after two years – rumor reports the university dropped him because his views were “too modern.” In 1938, Eames moved to Michigan with his wife to continue his studies at the Cranbrook Academy of Art, where he met Ray Kaiser. After divorcing his wife in 1941, he married Ray and the couple moved to Los Angeles, were they worked and lived for the rest of their lives. Throughout the 40s and 50s, the Eames continued their work in architecture and modern furniture designs, creating many iconic pieces including the fiberglass and wire mesh chairs they produced for Herman Miller. In 1949, the Eames constructed “Case Study House # 8” for Arts and Architecture Magazine. The house was built on a cliff overlooking the ocean and was hand constructed in a matter of days entirely of pre-fabricated steel parts intended for industrial construction. The Eames home still stands as a milestone of modern architecture. 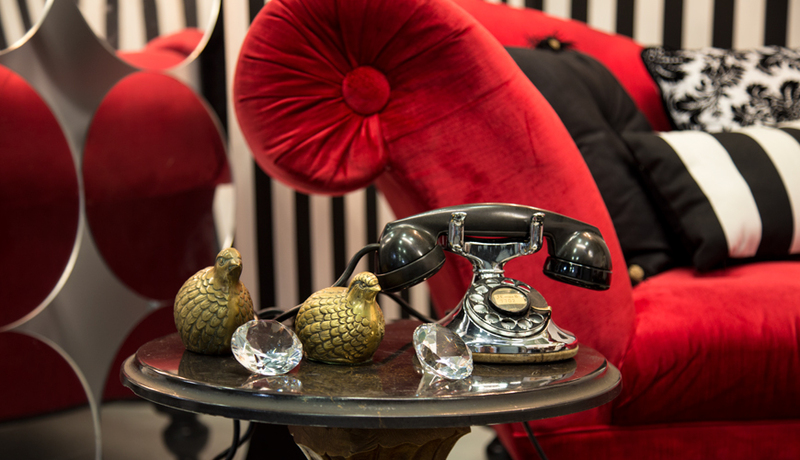 FormDecor’s special selection of the Eames’ classic designs are available to rent HERE.